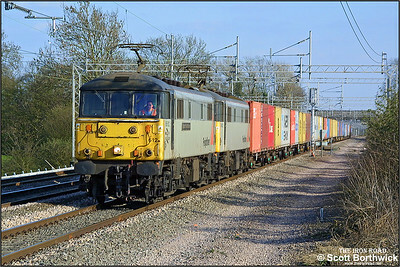 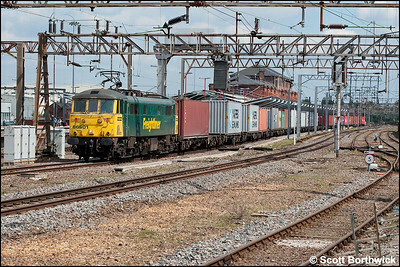 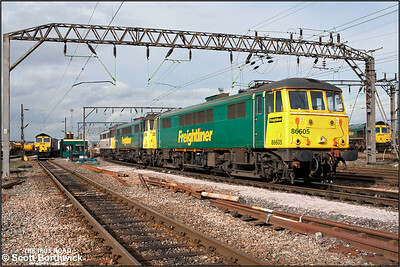 This gallery illustrates Class 86 locomotives working services operated by Freightliner. 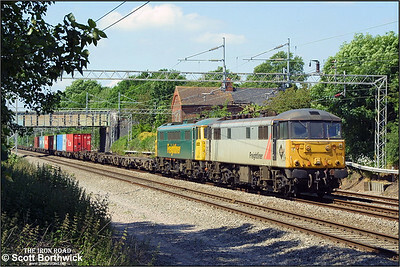 86501 ambles through Rugby with 4M81 0849 Felixstowe North-Ditton on 31/05/2006. 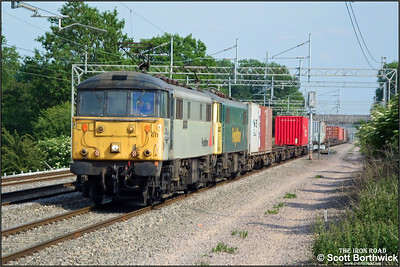 86501 passes Brinklow loop with 4M81 0849 Felixstowe South-Ditton on 08/06/2006.